“We take the complicated and make it simple.” KLG Molds offers a boutique, highly specialized experience that exceeds customer expectations, every time, on time. Small but mighty, KLG outperforms larger competitors by a wide margin and is an industry leader in the field of blow mold manufacturing. With over 40 years experience, and long-term employees who are treated as an integral part of the organization, KLG is able to provide a unique “one stop” advantage to customers from across Europe and North America. Locally based but globally renowned, KLG is known for ensuring three things above all others: Quality, a globally competitive pricing policy and On-Time Delivery, every time. Did you Know? 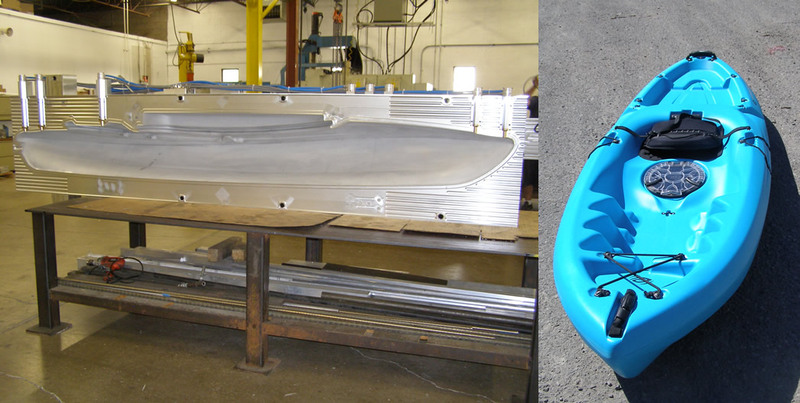 KLG Molds inc. is capable of cutting a mold cavity that is 80″ wide x 130″ long ! Owner Don LeBlanc explained how recent innovations at KLG Molds have, when combined with their already extensive knowledge of the industry, enriched the customer experience. KLG runs some of the largest and most advanced CNC machines currently available, combining cutting edge technology with extensive knowledge of the design, machining, sales and specialized expertise required to be successful in blow mold manufacturing. Asked what sets KLG apart Don replied, “because of my background and experience in design we are able to offer the full package to our customers, from blueprint to blow mold. We know and understand our business from the ground up and can advise customers upfront if a part will work the first time or how to make it better, before production ever starts.” Saving customers time and money, Don confidently explains that no re-work is usually required at KLG because he and his team truly care about the customer’s bottom line. Blow Mold technology might sound like simply filling a gap between two metal parts but Don says, “It’s still an art, not a science.” Because he and his team have been on the cutting edge for 40 years, they know when a part will work and when it will “blow out.” You want that kind of experience behind you! Manufacturing everything from kayaks to large garden sheds, pool ladders to “on-the-spot” outhouses, safety, durability and accuracy are critical. The technological advances of blow mold vs. injection molding mean that large, multi-piece units can be produced in as little as 3 minutes making high production manufacturing both possible and cost effective while still maintaining superior quality standards. Don LeBlanc says his 40 + years also helps him to understand customer expectations better than the customers themselves. Together with his team of specialists, KLG succeeds because “blow mold is all we do.” Like the individual craftsmanship that goes into crafting luxury sports cars, the team at KLG each care about and contribute to the final product. “There are no button-pushers here,” Don explains, meaning everyone has a stake in maintaining exceptional quality control, a fanatical attention to detail and superior equipment and production standards. Every member of the company is responsible for producing an excellent final product for the customer and in contributing to the overall success of KLG. Blow Mold technology works because it works well. Advances in blow molding and at KLG mean there will be ongoing cost-efficiencies gained for those businesses that utilize the technology. The industry has changed. Where injection molding once led the way in manufacturing, blow molds (mostly made of aluminum, not steel) are lighter and more cost-efficient. This isn’t “filling” a cavity mold, rather, it’s like stretching a part between two halves, trapping plastic like a balloon that expands to fill the space within the mold. All of this can be done faster and more efficiently (particularly for large parts that must all fit together and/or for high production manufacturing) meaning KLG saves customers both time and money. Asked about the future Don had this to say. “The company plans to continue to be at the forefront of the industry over the next 20 years. 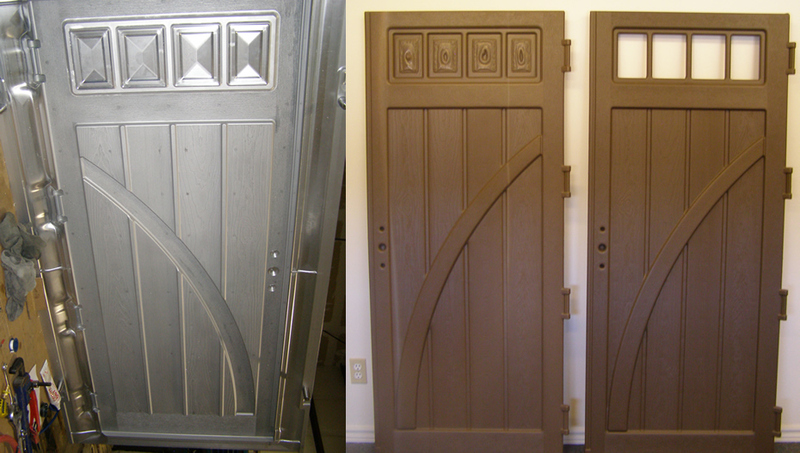 We have some of the largest machinery in the business and the ability to do part design too. Rigorous testing, extensive experience and a quality end product at an amazing price are what we guarantee.” Having already invested millions in machinery, KLG is poised and ready – confident they’ll put Orangeville on the map in a global way. In fact recently, one of their largest customers, Satellite Industries, has been singing their praises to the global marketplace. Talking about a recent project where they partnered with KLG after searching the world for an exceptional blow mold manufacturer, President John Babcock had this to say: “What started as an impossible deadline for an ambitious project,” he explains, “turned into a resounding success through the partnership with KLG. Their expertise and attention to our needs was a critical factor in bringing this product to full completion.” If you seek visionaries, who are industry-leaders and global competitors, put KLG to work for you today. Committed to exceptional QUALITY, ON-TIME manufacturing at a COMPETITVE PRICE, KLG has you covered from blueprint to blow mold!